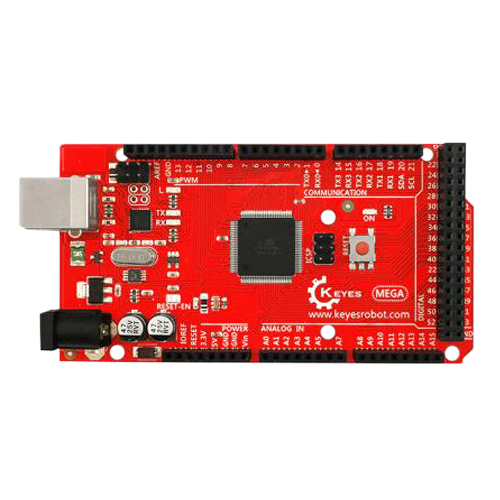 The Mega 2560 R3 with the FTDI USB chipset is a microcontroller board based on the ATmega2560. It has 54 digital input/output pins (of which 14 can be used as PWM outputs), 16 analog inputs, 4 UARTs (hardware serial ports), a 16 MHz crystal oscillator, a USB connection, a power jack, an ICSP header, and a reset button. It contains everything needed to support the microcontroller; simply connect it to a computer with a USB cable or power it with a AC-to-DC adapter or battery to get started. The Mega is compatible with most shields designed for the Arduino Duemilanove or Diecimila. SD / Micro SD card breakout module This is a SD / MicroSD card breakout board, and it will allow you to breakout the SD/MMC socket to a standard 0.1" x 6-pin header. It can work with 5V or 3.3V pow..
Micro SD Card 16GB - Class 10 This is 16GB microSD memory card - Class 10 is 100% compatible with Raspberry Pi 2/3. These microSD cards have a simple to use SPI interface allowing any micro to read..
Adafruit DS1307 Real Time Clock Assembled Breakout Board A great battery-backed real time clock (RTC) that enables your microcontroller project to track time, even if it's reprogrammed, or if the p..
Panel Mount Ethernet Cable This handy Ethernet extension cable will make it easy for you to enclose a device that has an Ethernet port. We think this would be most useful when putting a Beagle Bone..
Relay 8 Way - Opto Isolated If you want to switch up to 8 high current / high voltage loads from a microcontroller, this 12V relay board can do it. It contains 8 x 12V relays rated at 10A/250V AC (D..